Home > Skincare > BEROF Extra Sensitive Makeup Milky Lotion Cleanser 100 ml. BEROF Extra Sensitive Makeup Milky Lotion Cleanser 100 ml. Deep cleansing within the skin pores. There is no need to use any other toner after using this milky lotion cleanser. Pump out 4 to 5 pumps of Milky Lotion Cleanser and apply 5 points on your face as 2 points on the cheeks, 1 on forehead, 1 on chin and 1 on the nose. Massage it with your fingertips covering all over the face. At this point, Milky Lotion Cleanser has cleaned all dirt or makeup particles from your face. Remove the residual material from your face as upwards to downwards and inwards to outwards with BEROF Cleansing Cotton Pads. Repeat the above steps at least two times or until your face is clean and you cannot see any residual dirt or make up particles on the cotton pads. For best results, use Milky Lotion Cleanser together with “BEROF Facial Liquid Cleanser for Sensitive Skin”. It is used to clean the makeup and dust from deep inside the skin pores, it should be used daily to prevent pore clogging and to prevent acne formation. After wiping on the face, it makes comedones pop out easily, this feature makes it different from other cleansers. It is also safe to use during pregnancy and breast-feeding. It fades away hyper-pigmentation (dark spots) and redness caused by acne. It can be used alone to wipe and clean the face under certain conditions where you cannot wash your face with water or cannot use the face wash, such as after laser treatment, plastic surgery or Lasik. 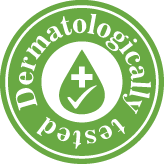 It helps to reduce skin irritation from previous allergic reactions caused by any other creams or cosmetic products. It helps to tighten the skin pores, giving you a smooth and healthy skin. It is fragrance free, therefore it can be used for sensitive skin. I have sensitve skin and hate anything that makes my skin feel cloying. 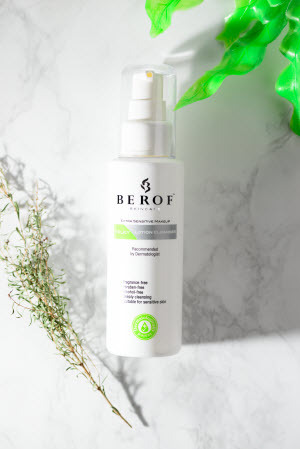 This Berof cleansing milk is so gentle but is still very effective at getting my makeup off. My skin feels so soft and clean afterwards. Very nice cleansing milk, Perfect for sensitive skin. This is a nice cleansing milk to use, and is not too much thick in consistency. It does its job in removing makeup, dirts and clearing skin, and leaves it feeling soft and smooth. I feel my skin brighter and it seems reducing my pore size. It's perfect for sensitive skin due to its fragrance free, paraben free, and alcohol free. I have to wear very heavy makeup everyday because of my job and it ends up with many pimples due to the clogging of the skin pores. I had tries several makeup removal from many companies in pakistan. Unfortunately, I do not like any of them because its poor quality. One day, i saw the VDO from BEROF Skincare Facebook about BEROF MILKY LOTION CLEANSER , I feel amazing on how it can remove such a thick makeup so easily. I discussed with Dr.Awais and knew that is Thailand's premium product. I ordered it that day on this website, and got it 2-3 days later by Leopard cash on delivery (very quick Post). 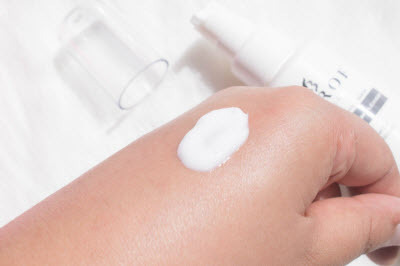 The quality of the Milky Lotion Cleanser is very good. The creamy texture is so soft and will not hurt your skin. And it cleans so deeply without destroy my facial skin. I love it and become its fanclub!! © 2019 Berof.com All Rights Reserved.